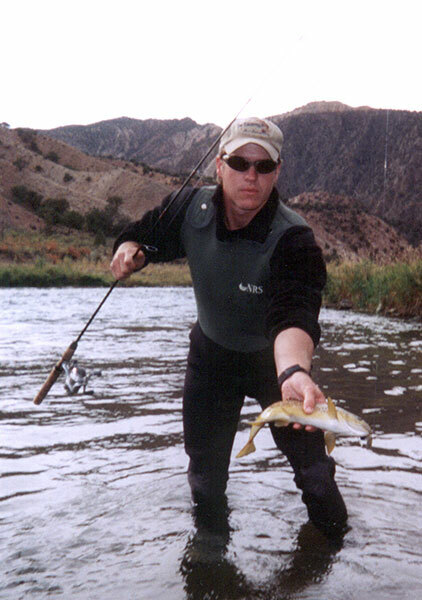 The Gunnison basin offers a wide variety of fishing opportunities. Within a one hour radius you can fish the largest reservoir in Colorado (Blue Mesa), or smaller lakes and reservoirs featuring Rainbows, Browns, even Kokani Salmon & Perch. 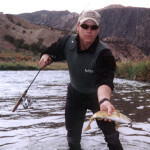 Rivers include the well known Gunnison and Taylor Rivers, Cochetope & Tomichi Creeks. 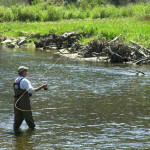 High Country fishing in smaller streams and beaver ponds feature brook trout. All of the “off ranch” fishing would require a Colorado fishing license. At the ranch, take advantage of the stocked kids fishing lake for those beginner fly fishing lessons. A license is not required for the ranch lake. 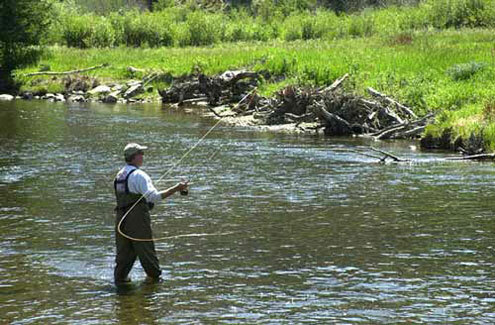 As for fishing gear, you should plan on bringing your own fishing gear. We do have some gear/tackle for sale in the gift shop, and we can always pick something up for you in town. You’ll enjoy the fish fry that is a part of the Thursday evening cookout. In fact, we’ll cook up your catch for you and your fellow guests. For more on fishing, or if you need more specifics, please contact us.